As cities throughout the country pass minimum-wage raises, GOP state legislators have a little plan to undo them. Last August, after a campaign led by a coalition of labor advocates and neighborhood organizations, Birmingham became the first city in the Deep South to raise its minimum wage. The increase was relatively modest—it sought to raise the city’s pay floor incrementally from $7.25 an hour to $10.10 an hour by 2017—but after six years without a national minimum-wage boost, supporters celebrated the move as an essential step in lifting the city’s working poor out of poverty. Soon after the ordinance passed, minimum-wage initiatives began to gain momentum in two other Alabama cities, Tuscaloosa and Huntsville. These efforts were followed by proposals for wage hikes in the cities of Selma and Mobile. The movement to lift local minimum wages, which had recently won high-profile victories in places like Los Angeles, Seattle, and Chicago, was beginning to spread throughout one of America’s reddest states. This did not sit well with Republicans in Alabama’s legislature, however. 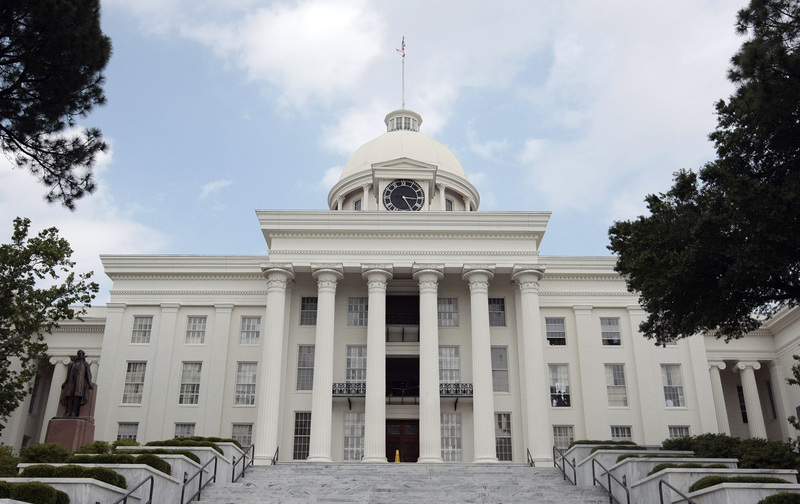 A month after the Birmingham vote, conservative members of Alabama’s House of Representatives began eyeing a bill that would prohibit cities from setting their own minimum wages, thereby rolling back Birmingham’s new ordinance. Then in early February—hours after the Birmingham City Council voted for the new wage to take effect on March 1, months sooner than originally planned—David Faulkner, a Republican representing a wealthy suburb of Birmingham, introduced a bill that would roll back his neighboring city’s new law and prevent others from setting their own wages. On February 16, the bill passed Alabama’s House of Representatives. Suddenly, it looked as though the Deep South’s first locally enacted minimum-wage law might never affect a single paycheck. The movement to lift local minimum wages was beginning to spread throughout one of America’s reddest states. Over the past several years, labor groups have launched dozens of campaigns to raise the minimum wage in many of the country’s largest cities as well as less likely places like Louisville, Santa Fe, and Albuquerque. The series of high-profile successes that followed provided a bright spot for workers’ advocates and buoyed progressives’ hopes of a resurgent, more nimble American labor movement. But state lawmakers, mostly Republicans, are moving quickly to challenge the widening popularity of these local efforts with laws that prohibit local governments from setting their own wages. In recent weeks, in addition to the action in Alabama, legislators in New Mexico, Washington State, and Idaho have considered passing laws blocking localities from lifting their minimum wages. These states joined a number of others that have, over the past year, passed similar measures, often referred to as “local preemption” laws. In June, for instance, Michigan Governor Rick Snyder (who is in the news these days for his leading role in the Flint water crisis) signed a Republican-backed bill into law that bars localities in the state from passing ordinances that lift wages wages or mandate paid sick leave. In September, Republicans in Missouri reportedly overrode Governor Jay Nixon’s veto of another anti–minimum wage bill. These laws have been aggressively pushed by national pro-business organizations such as the American Legislative Exchange Council, or ALEC, which has posted a template version of a minimum-wage preemption law on its website. A 2013 NELP report found that a majority of state legislators who introduced anti–minimum wage preemption laws had a known affiliation with ALEC. The report asserted that, although few of those proposals were passed into law, the “persistent introduction of legislation to weaken or repeal wage standards drains the political momentum behind” local efforts to raise wage floors. Business organizations contend that a landscape of ever-changing variations in local work regulations—in which one city has one minimum wage and another city has a different one—will create an atmosphere of unpredictability for businesses that will ultimately cost jobs. “You don’t want local governments that are maybe more liberal to make it hard for small businesses,” said Jason Harper, a Republican representative in New Mexico, who is co-sponsoring a labor-law preemption bill that, he said, would also block less common anti-labor ordinances. Earlier this month, Republicans removed the minimum-wage preemption clause from the bill, leaving it to target labor-backed laws mandating paid sick leave and scheduling ordinances. David Faulkner, who introduced Alabama’s preemption bill, says that, although his minimum-wage preemption bill has the support of business groups like the Chamber of Commerce and the National Restaurant Association, he filed the bill out of his own astonishment that cities would have the legal leeway to set wage policies. State lawmakers, mostly Republicans, are moving quickly to challenge the widening popularity of local minimum-wage efforts. Republicans in Alabama and elsewhere have argued that the preemption law does not prevent a higher minimum wage from being passed into law—it just ensures that such rules have to be made at the state level. Yet Alabama is one of the handful of US states that has never once set its own minimum wage, thereby leaving its wage laws to be dictated by changes in federal standards. (The national minimum wage of $7.25 an hour has not increased since 2009.) When I asked about this, Faulkner said that he was “open to having a discussion” about raising the state’s minimum wage. On February 16, dozens protesters traveled from Birmingham to Mountain Brook, Faulkner’s district and the wealthiest town in the state, to protest his bill. And organizers will stage a rally in Montgomery to oppose the bill this week, when the state Senate is expected to be considering the bill. Hoffman says that, with a Republican super-majority in the statehouse, he will seek to convince conservative legislators who might be on the fence that local preemption not only runs counter to their core principles but that such restrictions also might come back to haunt their own constituents. Indeed, in recent years, local preemption laws have proliferated across the country on everything from state laws blocking local restrictions on hydraulic fracturing to bans on plastic grocery bags.